This one is an orchid pink cream with a slight frosty sheen that isn’t that visible on the nail. Opaque in 1 coat. 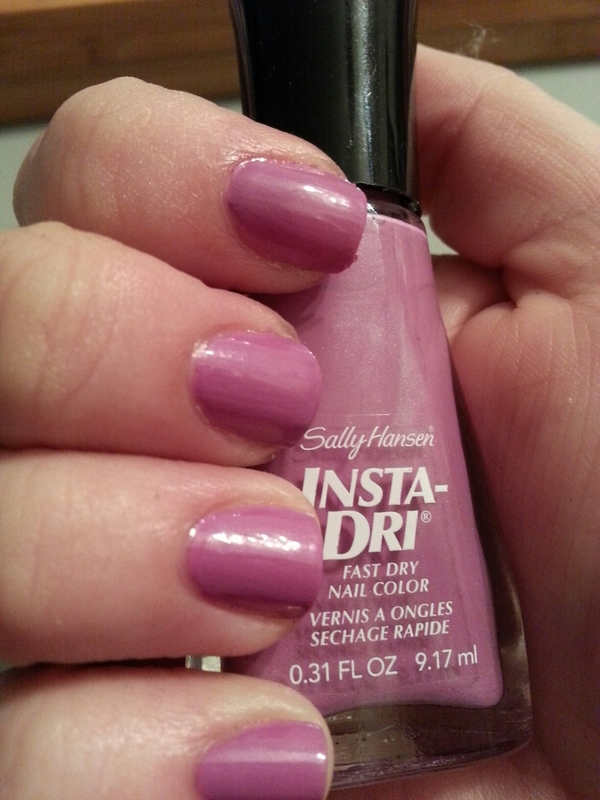 This entry was posted in Nail Polish Collection and tagged cream, nail polish, one coater, pink, sally hansen, swatch, swatches on March 3, 2015 by Mel. 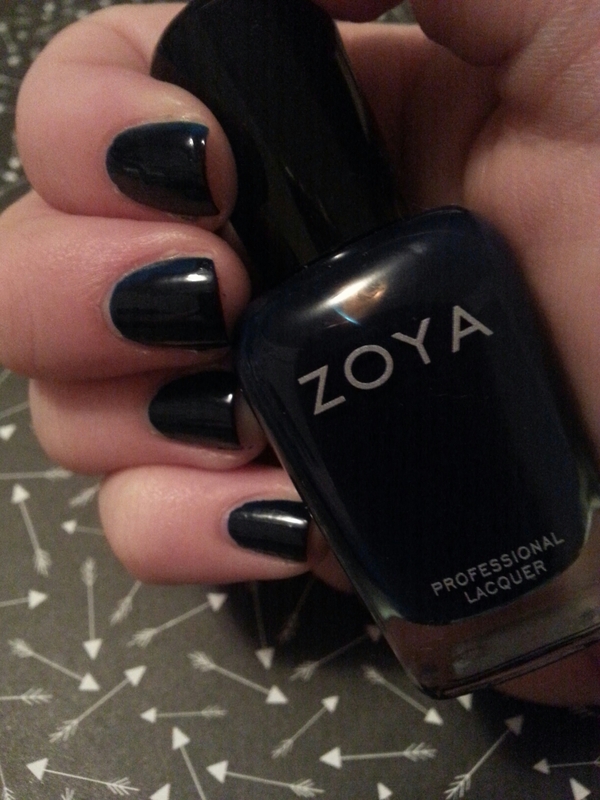 Ryan is an almost black royal blue cream with an inky formula. Opaque in one coat. This entry was posted in Nail Polish Collection and tagged blue, cream, nail polish, one coater, swatch, swatches, zoya on February 27, 2015 by Mel. Nan is a orange-toned red cream with a lovely formula. Opaque in one coat. 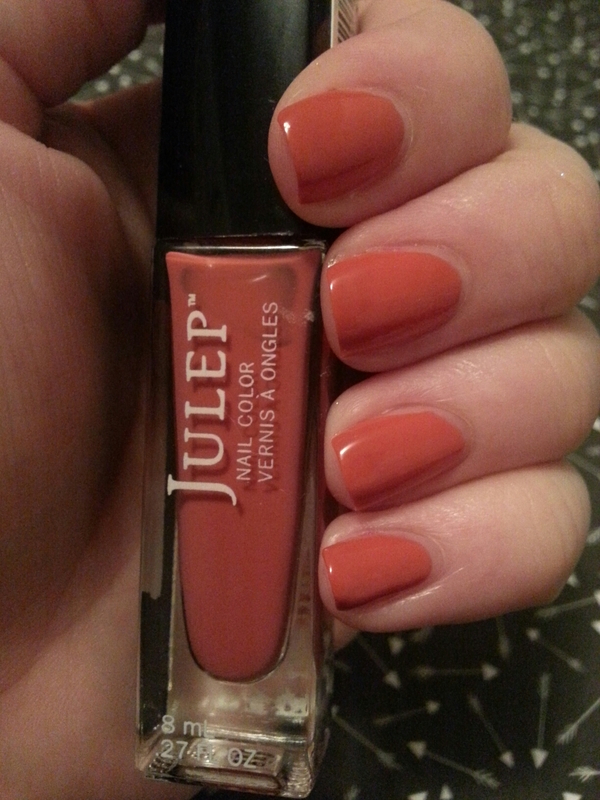 This entry was posted in Nail Polish Collection and tagged cream, julep, nail polish, one coater, red, swatch, swatches on February 26, 2015 by Mel. This is a deep purple polish with a pinky purple shimmer. Opaque in one coat. 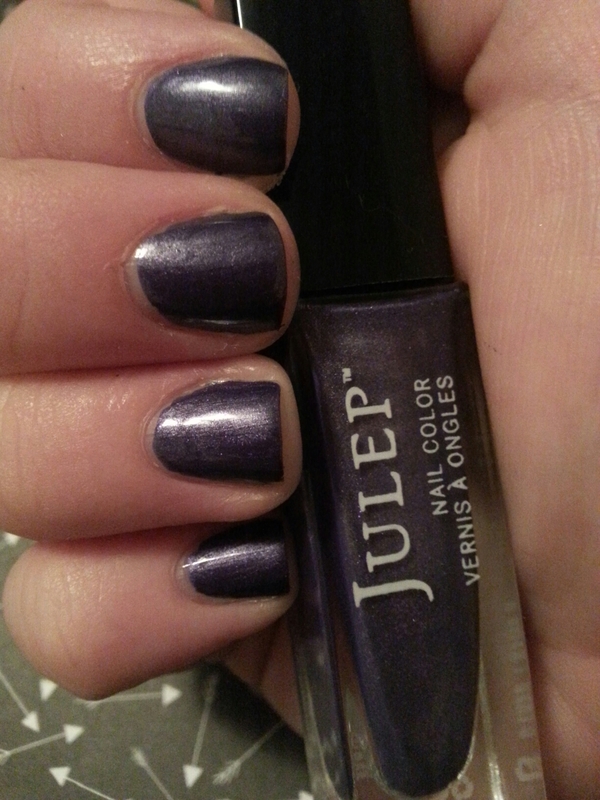 This entry was posted in Nail Polish Collection and tagged julep, nail polish, one coater, purple, shimmer, swatch, swatches on February 22, 2015 by Mel. This is a turquoise cream, opaque in one coat. This entry was posted in Nail Polish Collection and tagged blue, cream, nail polish, one coater, swatch, swatches, wet and wild on February 19, 2015 by Mel. Kiki is a medium sage green with shimmer. Opaque in one coat. 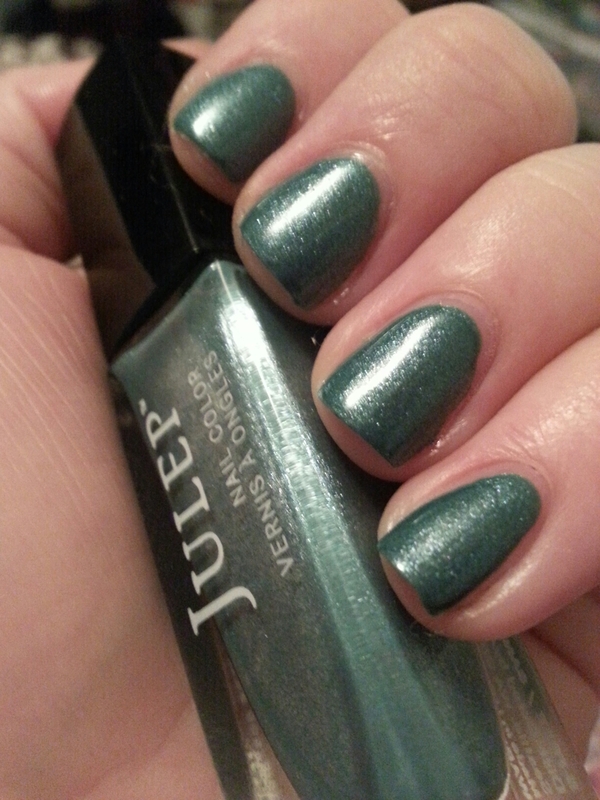 This entry was posted in Nail Polish Collection and tagged green, julep, nail polish, one coater, shimmer, swatch, swatches on January 28, 2015 by Mel. 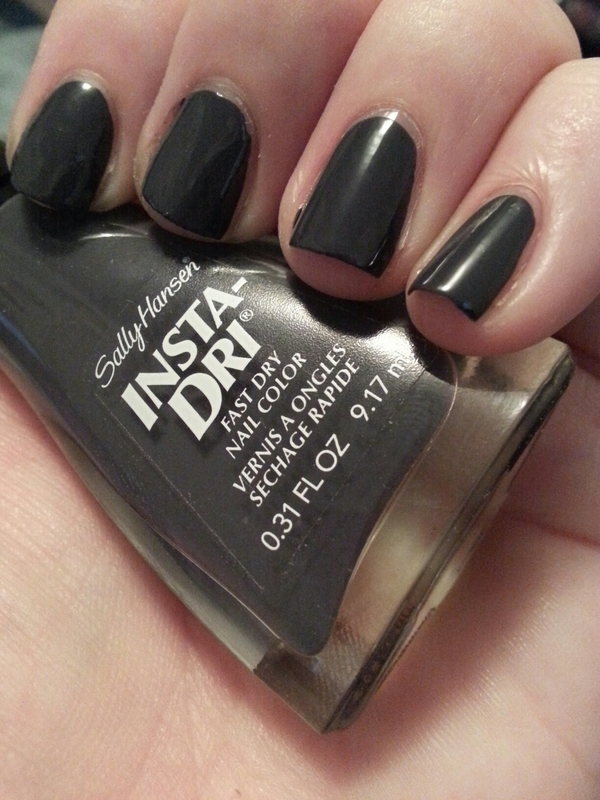 This is a dark grey cream, opaque in one coat. This entry was posted in Nail Polish Collection and tagged cream, grey, nail polish, one coater, sally hansen, swatch, swatches on January 27, 2015 by Mel.